Your budget, your needs. Select a method of payment that works for you today. Configure your next vehicle from the comfort of your own home. It's easy from start to finish! Choose your vehicle, choose your payment plan. Request your financing online with peace of mind. If you're not satisfied with your purchase, return it within the first 30 days. Ready to Customize Your Vehicle? Let's Go! 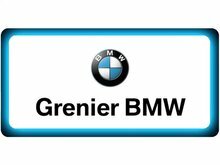 Welcome to Grenier BMW’s new site, your dealer of choice for the purchase of a new or pre-owned BMW vehicle, or for the maintenance, repairs, or financing of your BMW. At Grenier BMW, we’ve served our customers with dedication, conviction, and passion since we opened our doors and we’re always looking to exceed your expectations. In other words, we want to offer service that’s worthy of the BMW brand. At Grenier BMW, you get a unique service tailored to your needs. 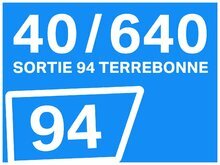 You’re not a number when you come to Grenier BMW. We’re always happy to welcome new customers to the BMW family. Come meet us and discover the Grenier BMW difference today. Come to Grenier BMW and discover a vast inventory of new and pre-owned quality BMW vehicles. We have a wide selection of BMW 2 Series, BMW 3 Series, BMW 4 Series, BMW 5 Series, and more in addition to a large selection of BMW SUVs like the BMW X1, BMW X3, and BMW X5. Grenier BMW also has an extensive inventory of high-performance BMW M models in stock. If you prefer a pre-owned car, we’ll have it in our inventory. At Grenier BMW, we offer a wide selection of Certified Pre-Owned vehicles that come with generous protection plans, including a five-year powertrain warranty with no mileage restrictions. Once you become a BMW owner, you will receive a wide range of after-sales services such as mechanical maintenance, detailing, and genuine BMW parts and accessories. At Grenier BMW, we will preserve the quality and resale value of your BMW while offering a service that exceeds your expectations. Come and meet us today at Grenier BMW, where we look forward to sharing our passion with you!